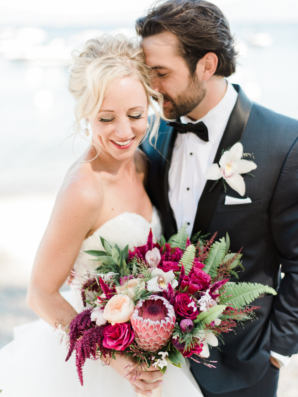 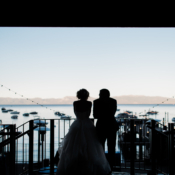 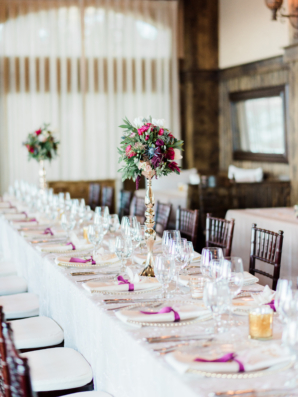 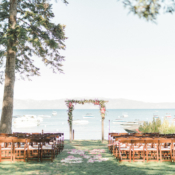 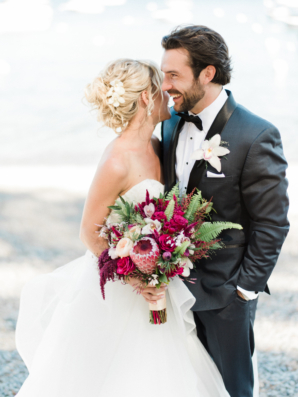 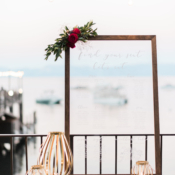 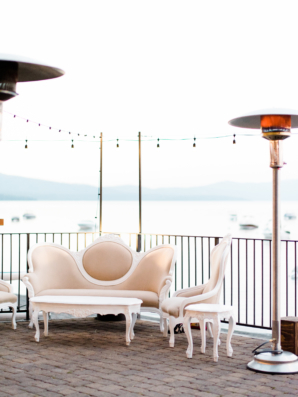 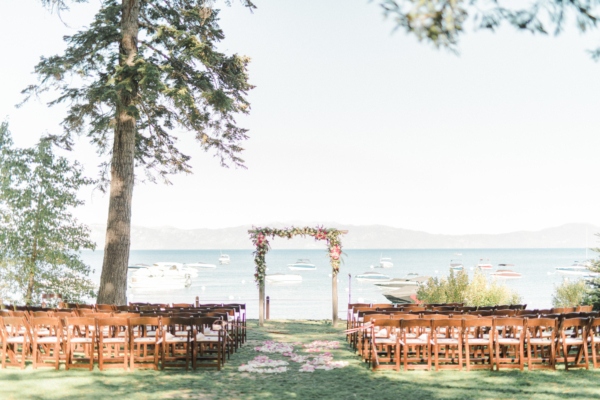 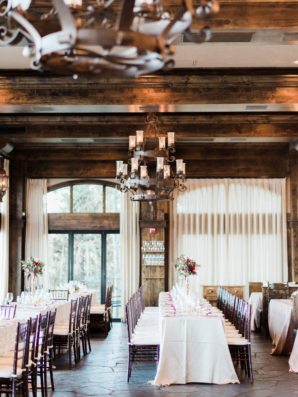 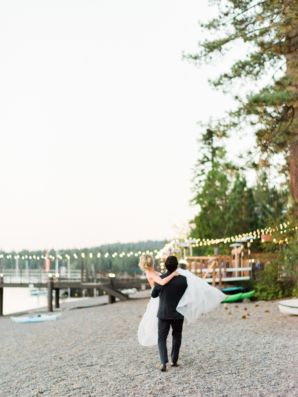 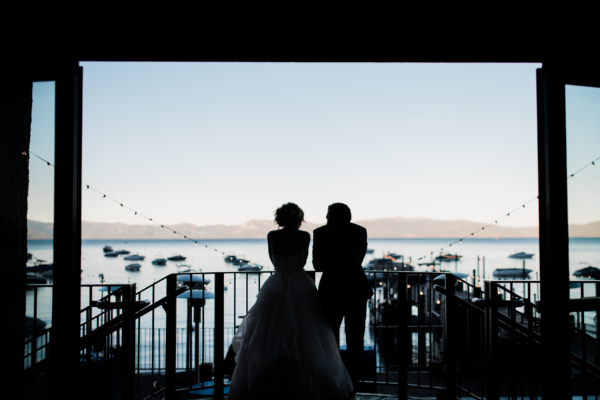 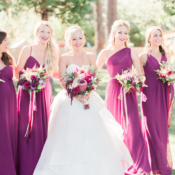 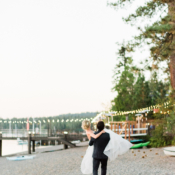 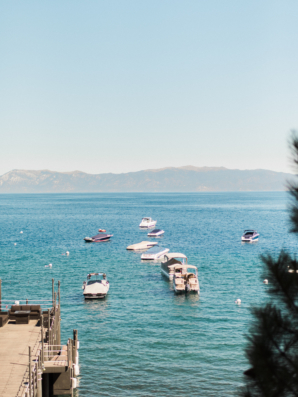 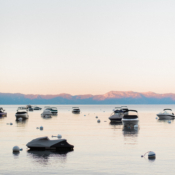 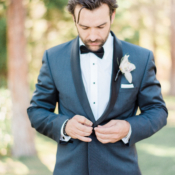 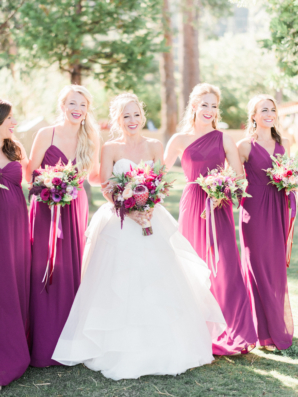 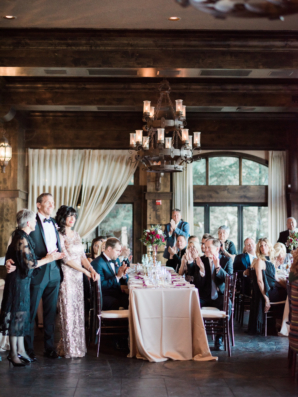 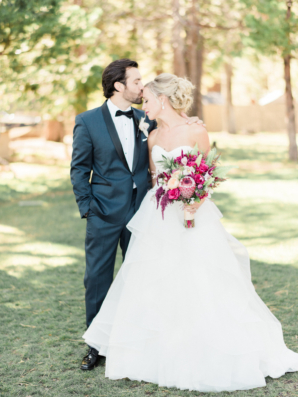 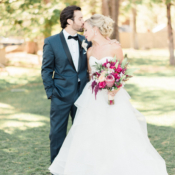 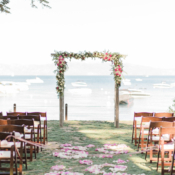 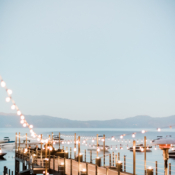 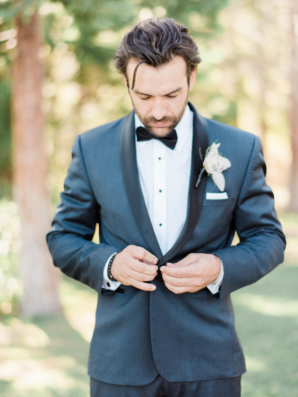 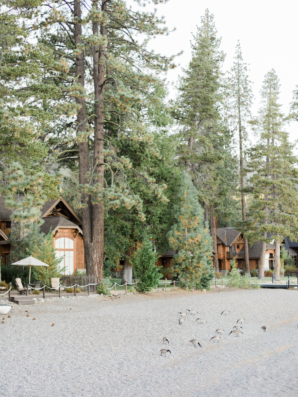 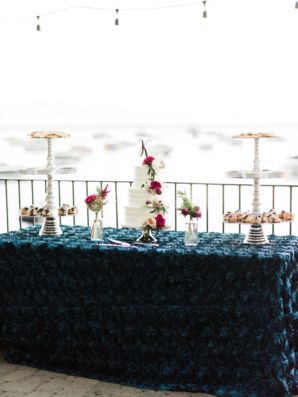 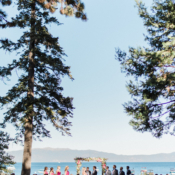 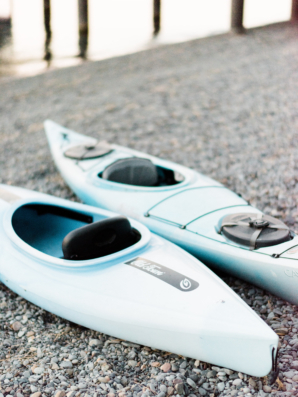 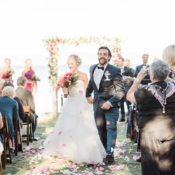 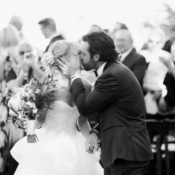 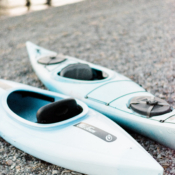 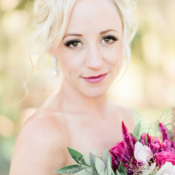 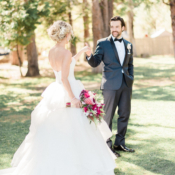 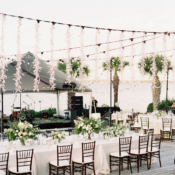 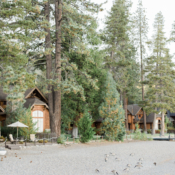 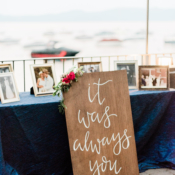 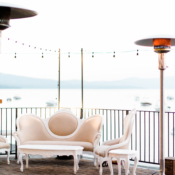 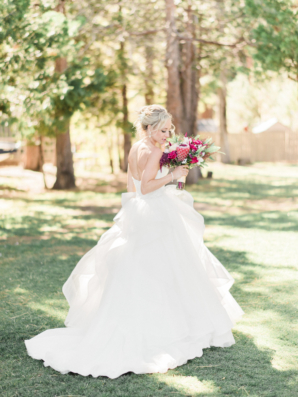 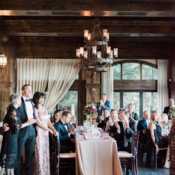 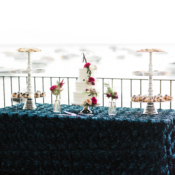 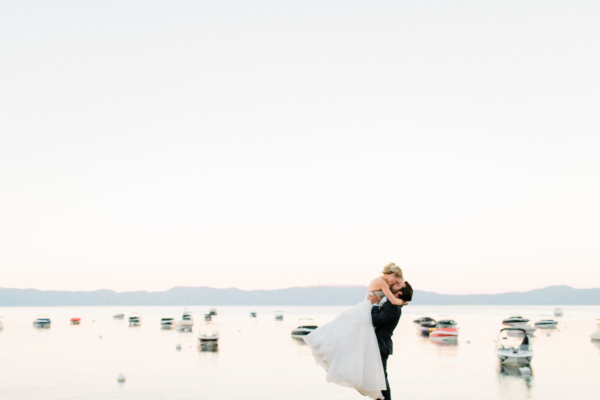 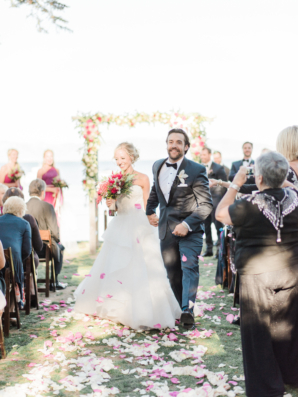 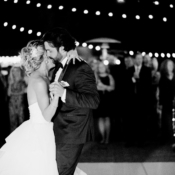 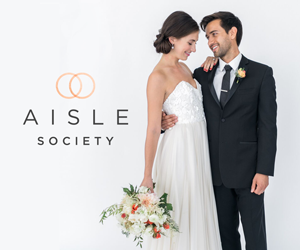 Lake Tahoe was the perfect setting for Kacie and Austin to treat guests to an epic weekend celebration. 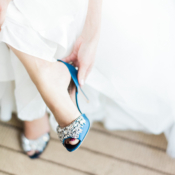 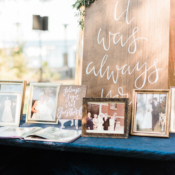 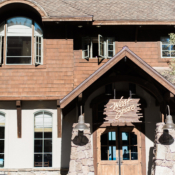 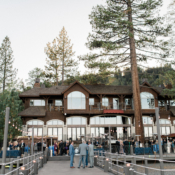 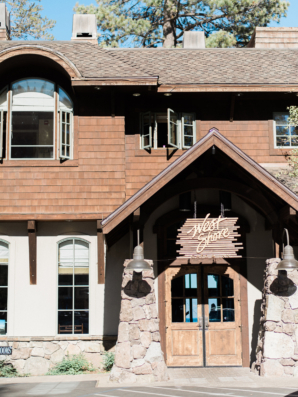 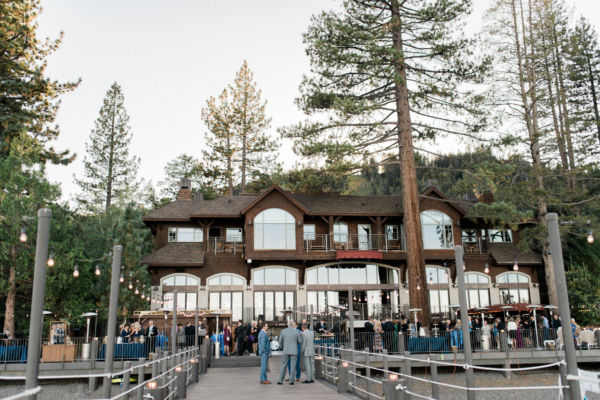 The mountain destination played host to a Field Day for all ages, a lakeside “Something Blue” rehearsal dinner, and their stunning waterside wedding ceremony amongst the trees at West Shore Cafe & Inn Lake Tahoe. 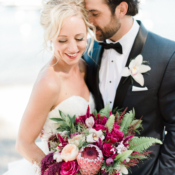 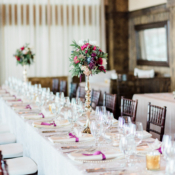 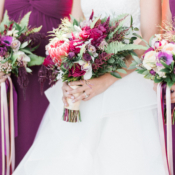 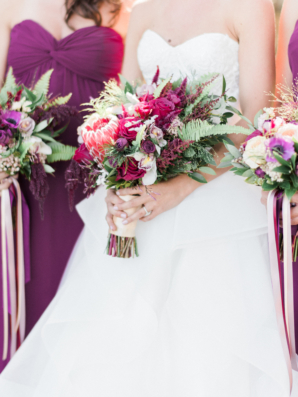 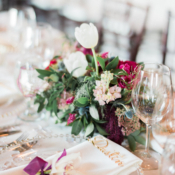 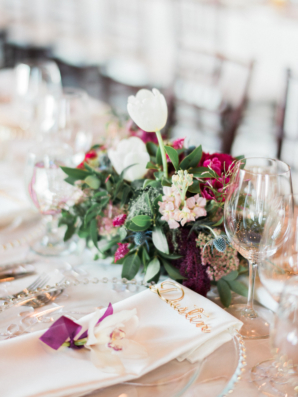 Bello & Blue Events worked with the couple to create a fabulous and colorful reception in shades of magenta and navy, with bold and beautiful flowers by Petal & Thread. 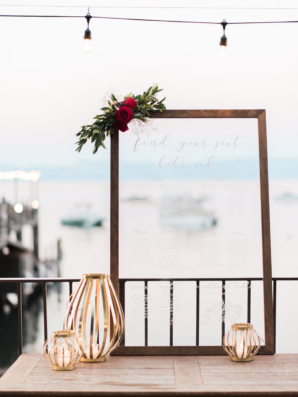 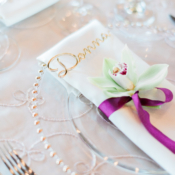 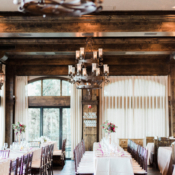 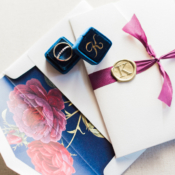 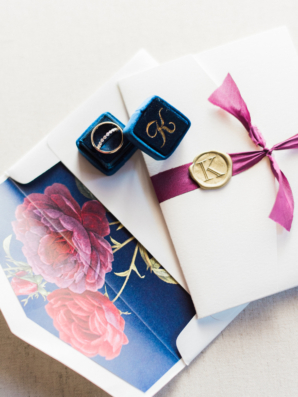 Each place setting featured a laser cut place card and a fragrant cymbidium orchid, and lieu of favors, guests received a lovely welcome box including a customized candle with scent chosen by Austin, champagne with an aspen tree straw, and a hand-drawn painted map of Lake Tahoe. 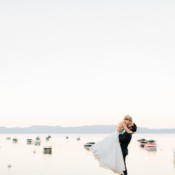 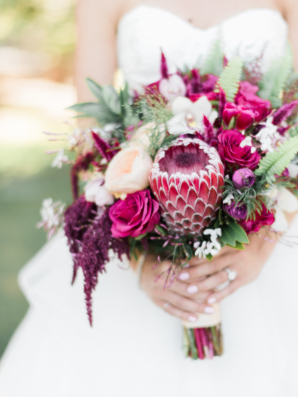 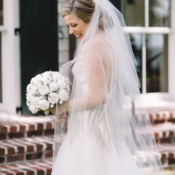 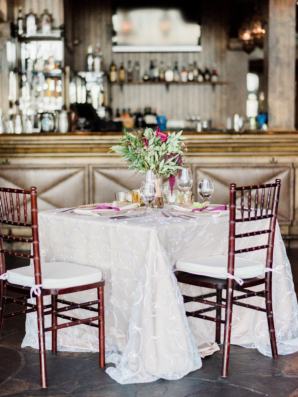 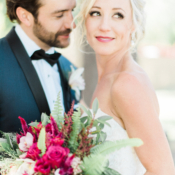 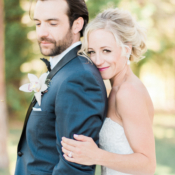 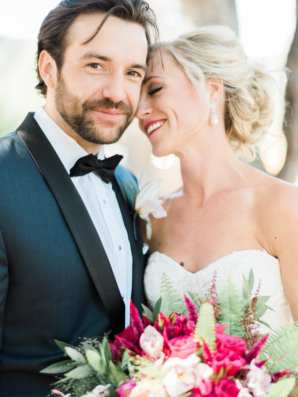 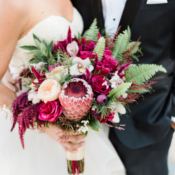 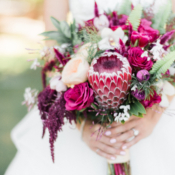 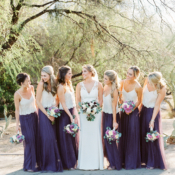 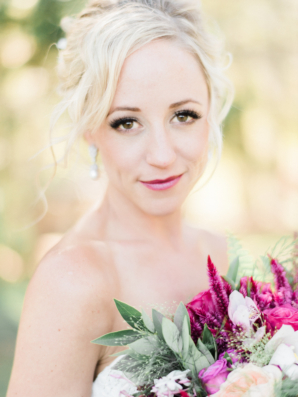 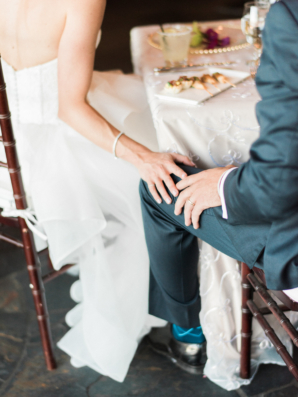 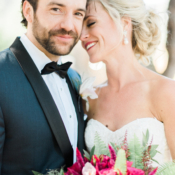 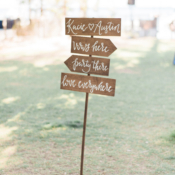 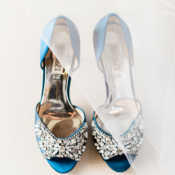 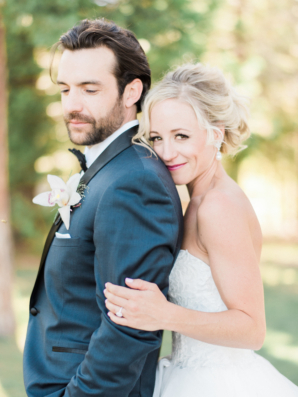 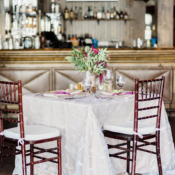 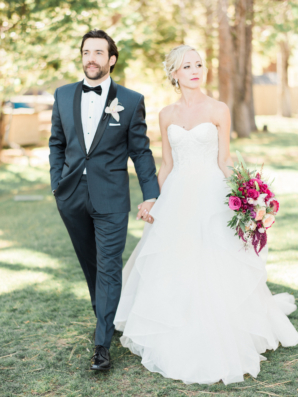 There’s so much to love in their gorgeous day, and we’re totally gushing over the images captured by Ether & Smith!